Inherited a fortune and not sure what to do with your new found wealth? 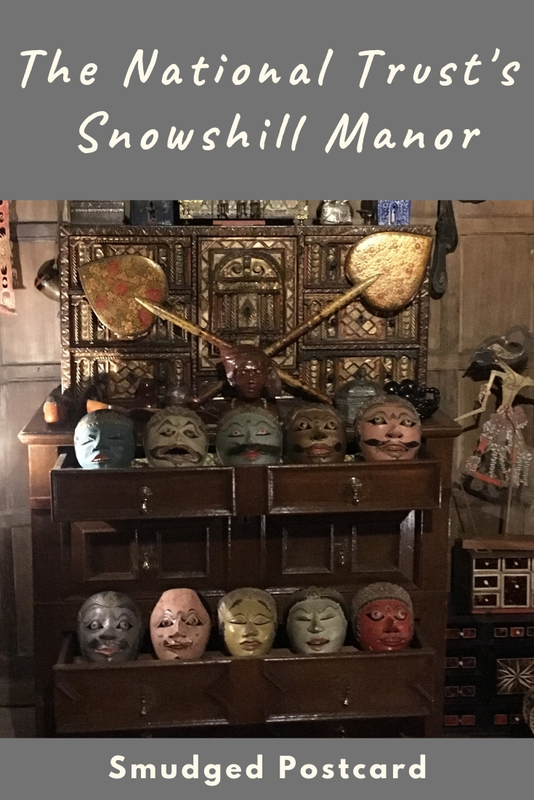 Take inspiration from Charles Wade who bought Snowshill Manor in the Cotswolds and made it his life’s work to fill the house with curiosities from around the world. 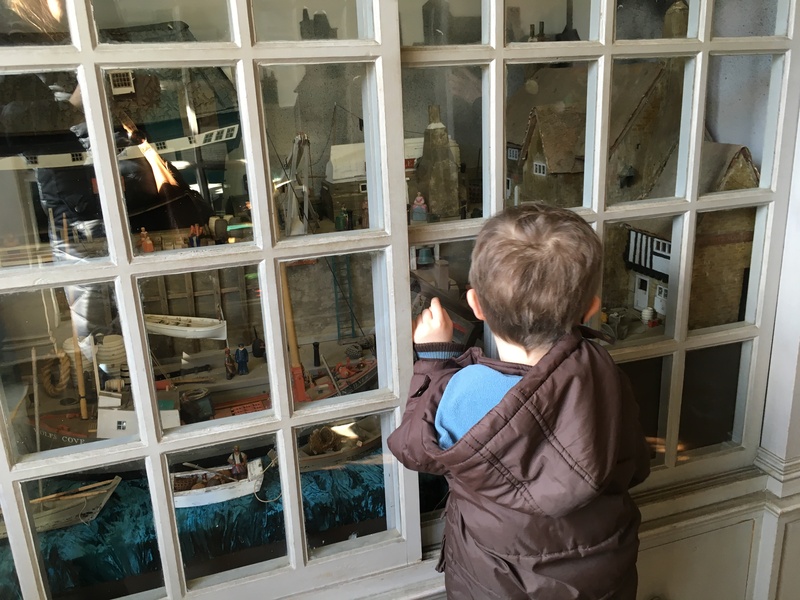 The Tudor manor and its gardens are now owned by the National Trust and make for a genuinely fun family day out for anyone who has an interest in craftsmanship, dressing up, model villages or hoarding knickknacks: know any children like that? Charles Wade (born in 1883) started his collection at the age of seven while living with his grandmother who was also a bit of a hoarder. Trained as an architect, he was an enthusiastic artist, poet and craftsman, restoring many of the artefacts in his collection. 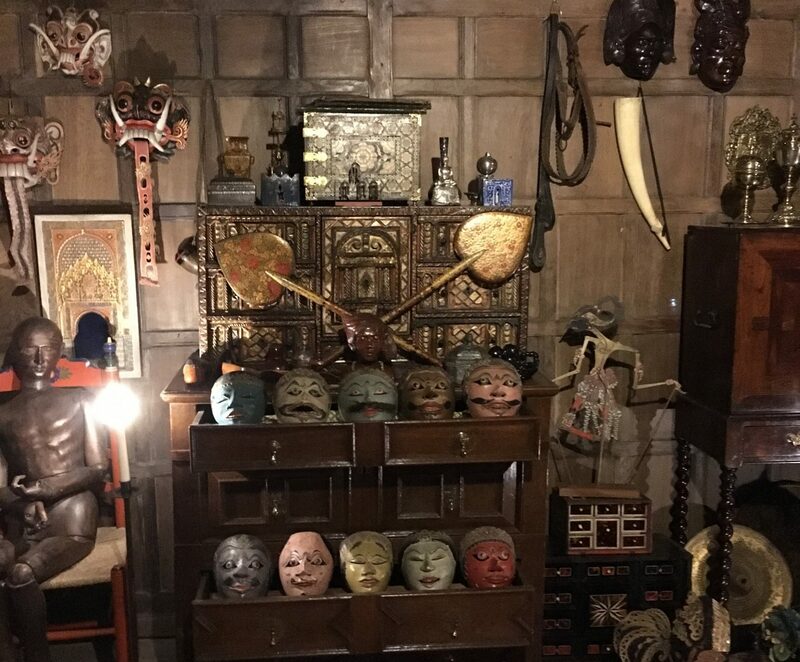 He bought Snowshill after the First World War specifically to house his quirky and at times rather creepy treasure trove of some 22,000 objects. We visited Snowshill on a warm spring day. There’s a pleasant pathway which leads from the visitor centre and restaurant to the house, taking in typical rolling Cotswold scenery and a fun willow tunnel on route. 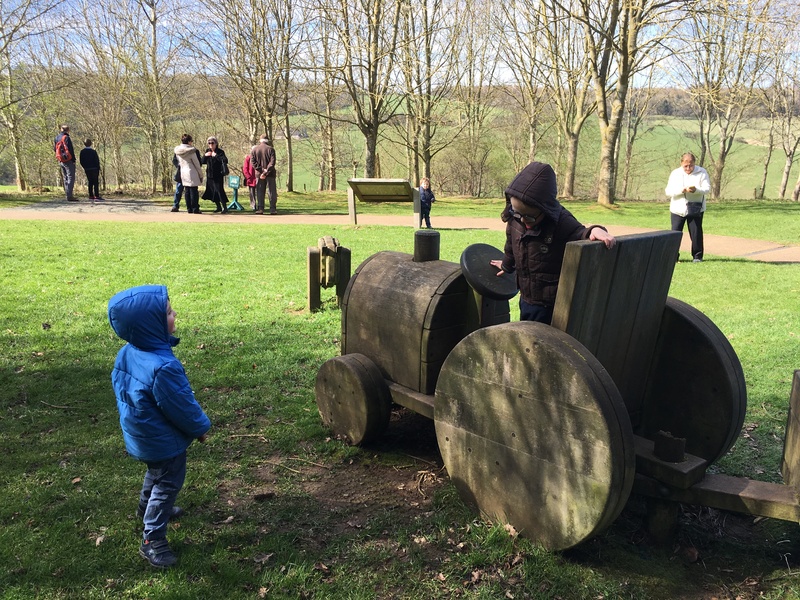 There is also a modest play area next to the restaurant with a wooden tractor to keep the kids entertained while they’re waiting to be fed. 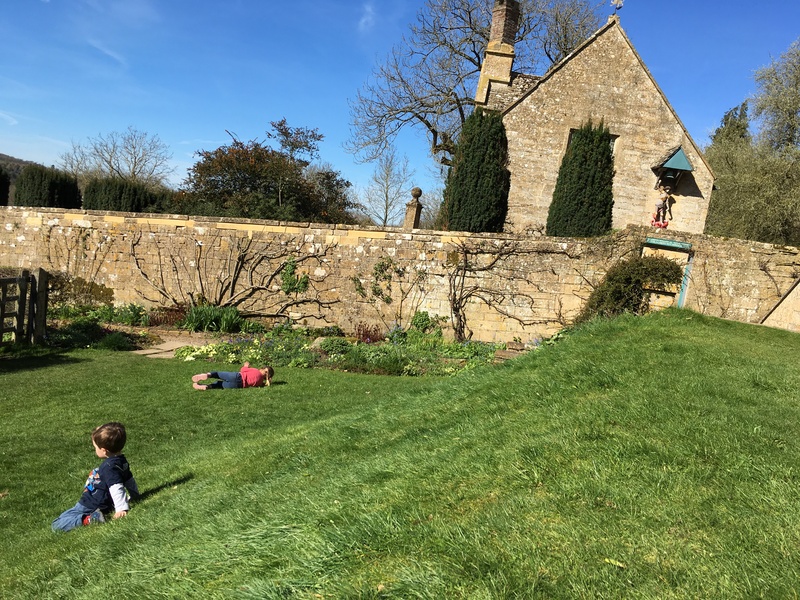 My five year old isn’t overly interested in some of the children’s trails he’s tried at National Trust properties but Snowshill, packed as it is with strange and wonderful things, is perfect for young kids. The house is dimly lit and atmospheric and children are given an Apprentice Collector Record to fill in. They have to find six objects around the house including a painting of Charles Wade, a Japanese picnic box and a shadow puppet. 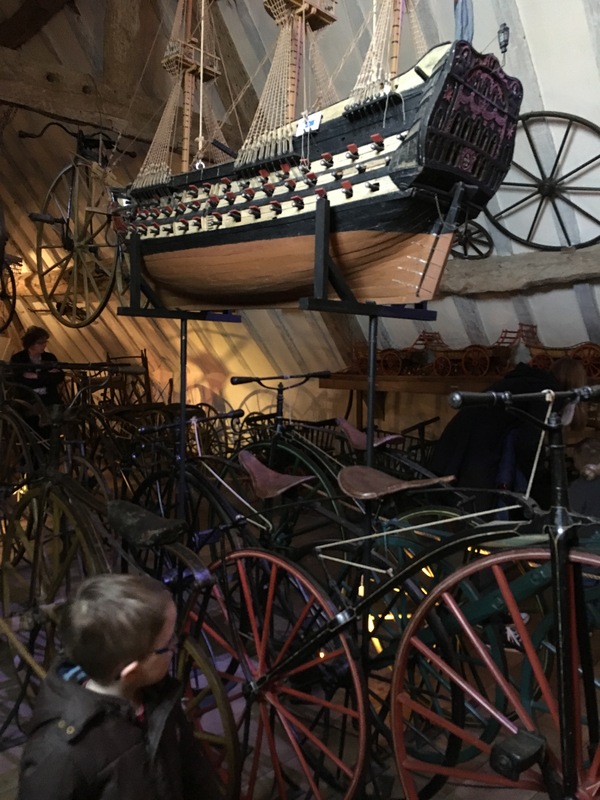 There are of course a multitude of other curiosities such as full-size model Samurais, musical instruments and an attic full of bicycles. 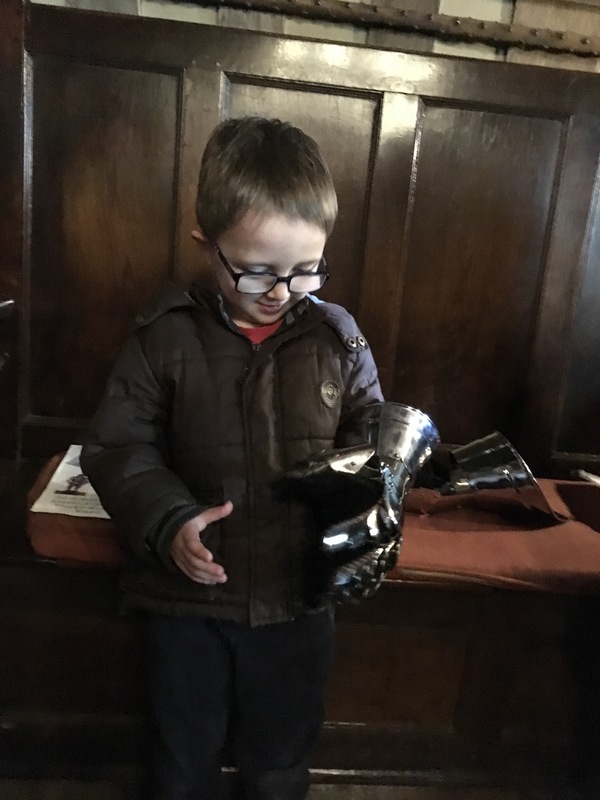 The armour on display, including giant metal gloves which you can try on, was particularly popular with my son. 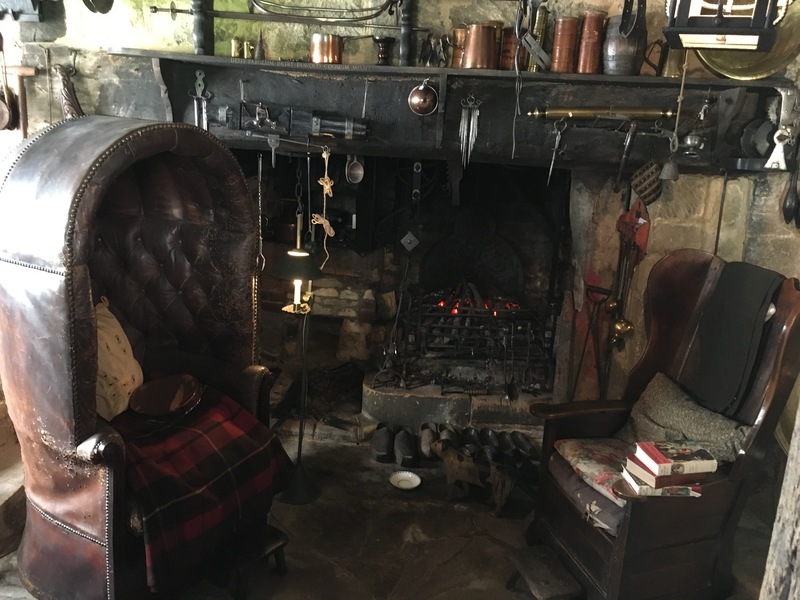 As his collection quite literally packed the manor house to the rafters, Charles Wade actually lived in the adjoining and more modest Priest’s House which has been preserved, as per Wade’s instructions, in all of its strangeness for visitors to explore. 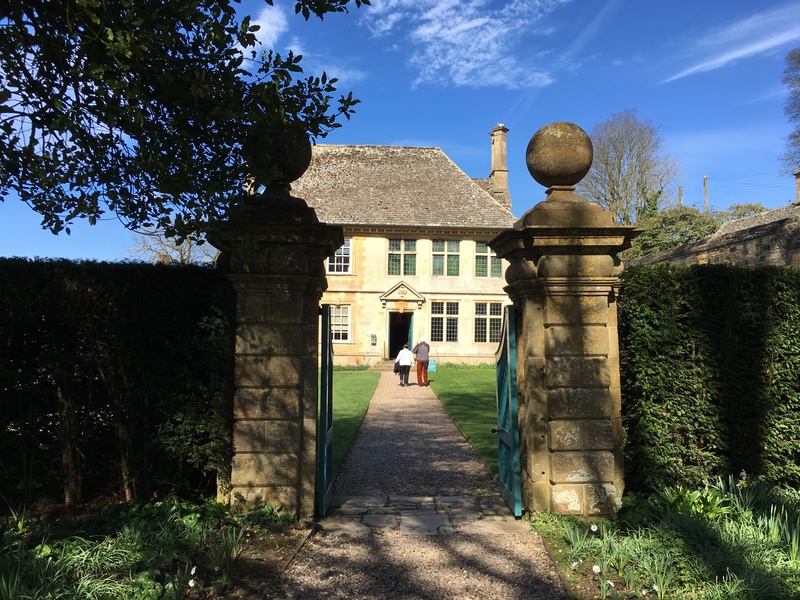 The house, named by Wade to reflect the manor’s historical links to Winchcombe Abbey, was previously used as a bake house. The kitchen has quite a cosy feel with chairs facing the fireplace and a packed larder along with all manner of objects suspended from the ceiling. The bedroom didn’t win me over as a place to sleep in: the bed is enclosed in wooden panels overlooked by a statue of a monk while a small staircase leads to a tiny door, who knows what lurks behind it. Outside, there are formal gardens to wander through, apple orchards (and an impressive selection of apple varieties to buy when in season) and various other buildings to explore. Henry Wade also created a model village, Wolf’s Cove, which is currently being reconstructed. We haven’t seen this work in progress yet but I have a feeling we’ll have to check it out next time we’re in the area. What would we make of Charles Wade today I wonder? An eccentric entertainer perhaps or a crazy hoarder? It would have been interesting to meet the fellow to find out. Opening times: Manor house 1200-1700, rest of property 1100-1730, closed over winter. Tickets for the Manor house are timed and can sell out during busy periods so it’s worth arriving early. Our other National Trust outings include Wimpole Estate near Cambridge and Bodiam Castle on the Kent / Sussex borders. 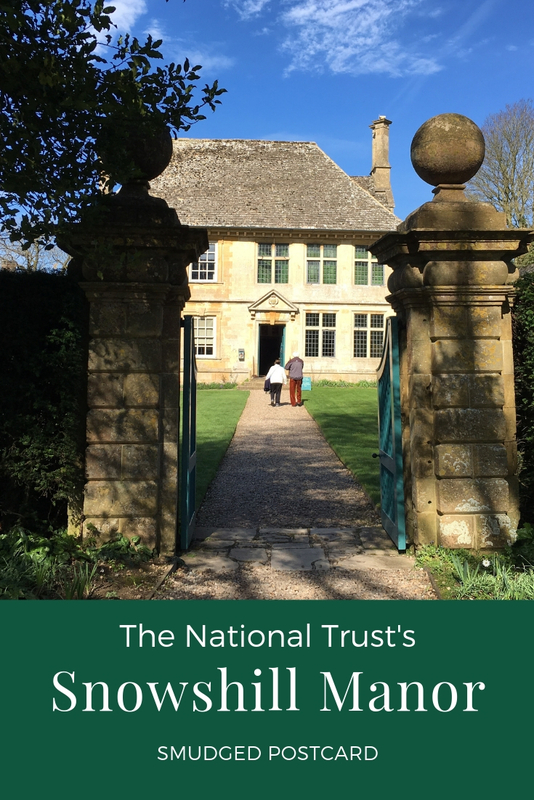 Definitely one of our fav National Trust properties! Well, it’s a great introduction to English eccentricities! Definitely give it a try! There’s so many expensive places in the Cotswolds, it’s good to have somewhere free to visit. It becomes very useful when you have kids doesn’t it? 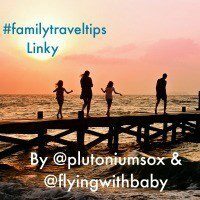 Beach car parks, good play grounds, and so on! Definitely go! It’s my older son’s fav NT property by far!